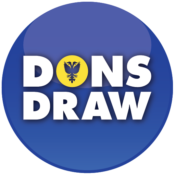 This is an archive page detailing the 2014 election to the Dons Trust Board. The electorate was 1809 and there were 578 returned ballot forms, so the percentage turn-out was 32%. You can download the Election Steering Group’s results announcement, as read to the 2014 AGM. You can also see the election result as announced on this website’s news pages. Following the nomination procedure there were seven candidates this year, standing for four posts. The manifestos of all seven candidates are available to read online. The ballot forms were sent out either by post or by email via Survey Monkey (in accordance with each individual Trust member’s preference). Read the 2014 Election Announcement. Read the 2014 Election Rules.